The National Equipment Register (NER) estimates the value of construction equipment stolen each year is up to $1 billion. That estimate is for equipment only and doesn’t include tools and building materials which are often easy targets for thieves. The reason is simple: construction sites are raw and often represent the beginning of a finished area – utilities may not be in, fences may not be built and it is difficult to secure equipment. Equipment is too large to practically remove and bring each day. Company’s have no choice but to leave building materials, equipment and tools on site making easy targets for theft and vandalism. Optiview’s security systems can detect an intruder, send a notification, and provide admissible evidence to prosecute criminals. Optiview’s leading-edge technology can detect faces, can monitor perimeters, see in the dark and see in the fog and rain. No power, no problem – we have solar powered solutions. Companies can leave their construction sites knowing that they are completely covered 24/7/365 with the appropriate surveillance to ensure crisp and clean feed to any number of live viewing option. Equipment can be deployed in relation to the physical characteristics of the site. Cameras can be added, subtracted or substituted. 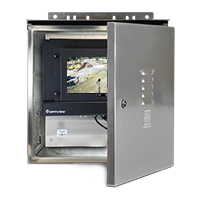 Optiview can offer access control to complement the security profile of the site. Most perpetrators will enter at night, so our services will confirm that the construction site is secured when the last employee clocks out, all from our secure video monitoring center. Construction sites can be from acres to miles in size prohibiting human monitoring. Optiview’s systems are scalable and interconnect with each other to cover massive geography’s for a fraction of human monitoring. 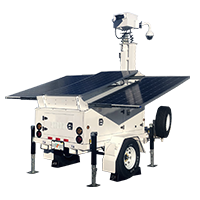 Due to the modular and scalable system that Optiview carries, any and all of the following solutions can be combined for your specific job site. 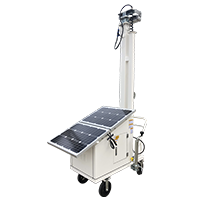 Compare mobile solar platform solutions here. 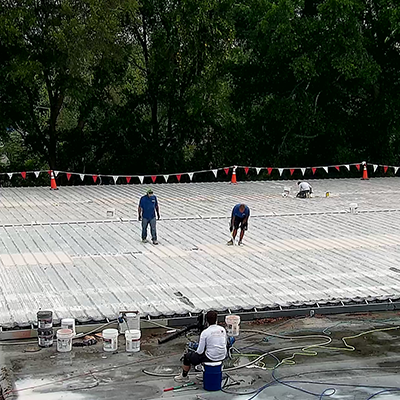 Elevated site surveillance, quality, and safety. 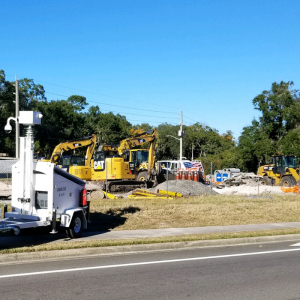 Deploy mobile trailers, carts or weatherproof recorders to monitor job site performance, protect from liability, and share live updates with business owners.